If you were evaluating a chocolate product to import and sell in your store, you would need to ask many questions to make sure you were getting a quality product. Of course, taste is the most obvious factor. What is the source of the cocoa beans? How are they grown? How is the candy made? Who makes the candy? Are the workers treated fairly? What is the Nature and Purpose of the Website? How rich is the Content? What Kind of Source did I Find? Should I Eat Dark Chocolate? 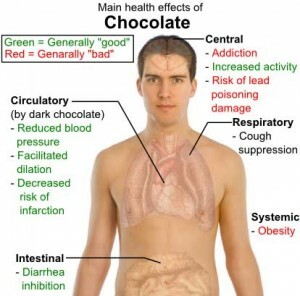 Benefits of Dark Chocolate: Does it Outweigh the Costs? Beware of fake news and hoaxes! << Previous: So Many Sources!